Education in Pakistan refers to two types of schooling, for two different income groups: children from wealthy families go to private institutions while children from relatively poorer backgrounds study in public schools. The latter group accounts for majority of the population of our country. Public schools are better off in terms of financial considerations i.e. they have affordable fee structures for the majority, which is why they are often seen as institutes of the masses. They take into account the expenses (other than education) that most families in Pakistan incur, such as utility bills, fuel, grocery and other supplies. In contrast to this, private schools are extremely expensive; the fee is sometimes as high as a family’s monthly income, which makes private schools a spectrum limited to the affluent. Public schools provide education to as many people as they can possibly cater for, which is why they seem crowded. They work on the principle of ‘educate all’, so that the lower and lower-middle income groups can evolve and have better life-styles, as the pupils of today would find jobs tomorrow after they graduate and have a better social standing than their parents. On the other hand, private schools follow the principle of ‘educate a few but educate them well’ so that fewer pupils are trained, who eventually end up becoming future leaders—and most of whom leave the country. Because public institutions focus on tutoring as many students as possible, teachers are unable to give adequate individual attention to students. This is not the case with private schools. Moreover, these teachers have a very tight schedule of teaching six to seven periods (out of eight) every day. Hence, students face a lot of problems (academic and non-academic) and most of them remain unresolved. When there is only one teacher designated to a class of 60, it becomes difficult to form a close relationship with every student, which is necessary to understand and guide pupils in their primary years of schooling. More teachers need to be hired (in almost every public school) so that the student-to-teacher ratio falls to a level where teachers can be more effective in class. While private schools have understood this, public schools still need to cater for it. They need to understand that the only way a teacher will effectively teach is if the school administration helps them – by giving them lesser students per class and lesser subjects to teach. Educated individuals can also help, by opting to work for government schools and sharing the load. In terms of progress on a social level, public schools help in evolving income groups more effectively than private schools. According to Pakistan Economic Survey 2014-2015, the education budget of Pakistan is a miniscule 1.6% of the GDP and salaries of teachers as well as maintenance and other finances in public schools are all catered for by this amount. A low budget means low salaries for teachers and that, combined with a high workload, results in a frustrated teaching community, which affects their conduct with students and gives a negative impression to everyone. Hence we have the stereotype that government school teachers are never pleasant. In schools, it isn’t all about ‘what’ a teacher teaches, but also about ‘how’ he/she teaches it – the latter is mostly what students take home. Pupils consider their tutors role models and if they give off a bad impression from the very beginning, it is bound to stick with them for a long time. The education budget needs to be increased so that teachers in public schools get a greater incentive for teaching and motivating students. Student evaluation of teachers is taken very seriously in private institutions and the school administration alters its contract with teachers based on the students’ analysis of them. In public institutions, evaluation of senior teachers is all that is taken into account, which is faulty because no one can judge a teacher better than their students. If students are given a chance to rate their teachers on several aspects, like communication of concepts, use of charts/boards/presentations to express themselves, time management and the likes, and if their evaluations are taken seriously by the administration, quality of teaching can drastically improve in public schools. While private schools have begun to take student counselling very seriously, public schools still need to consider that as an avenue, because it is something that seriously affects the environment of an institution. A counsellor can be a psychologist or an experienced teacher (or even a graduate), who has a good idea of what students usually go through in different stages of tutelage. Some private schools have a permanent counsellor who attends to students whenever they need help. That isn’t possible for public schools because they hardly have enough finances to pay their own staff, let alone hire new people. Nevertheless, they could ask for volunteers (students) from public or private universities to guide school students — interviews could be conducted to select volunteers and a certificate of appreciation (as an incentive) could be provided afterwards. The youth is always up to help and their energy can be channelised into something effective if they are given the chance. Sports teachers and better play grounds for students are required in public schools so that students can harness their emotions in games rather than use it in physical violence. Plus, sports go a long way in refreshing a person’s mind — it also takes away the stress from studies and allows students to concentrate more and be more productive in their work. Annual or semi-annual sport events for different kinds of sports should be held with prizes given to the winners so students are motivated to play for their teams. Most importantly, every student needs to be given a chance to participate and maybe even be given the motivation to apply for a position in the national teams. Not only will we improve the prospects of sports in our country, we will create thousands of jobs we didn’t think we had. Other extracurricular activities such as plays, debates and MUNs (Model United Nation conferences) should be encouraged in government schools and it should be mandatory for every student to participate and take initiatives on their own. These events are usually self-sufficient in terms of budget and in most private institutes, students alone control the finances of holding such events — they only use the school campus as a location to hold the event and in the end, all the credit goes to the school. So it’s a win-win situation. The aforementioned steps can create a marked difference in government schools and its teaching staff. These steps will lead to effective schooling, satisfied teachers, happier students and an overall progressive society. Public schools have the capacity to cater to a lot of students with quality, holistic education and if they evolve from their current situation, they can end up making more future leaders than private institutes. If government schools are helped, a brighter future for Pakistan can very easily be anticipated. A second year medical student at Aga Khan University, Karachi. 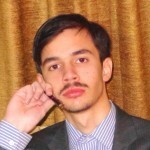 He enjoys travelling, writing, watching movies and is Interested in psycho-social matters in the society as well as education and health in Pakistan. Apparently there is work being done both in the Punjab and KPK in this regard. 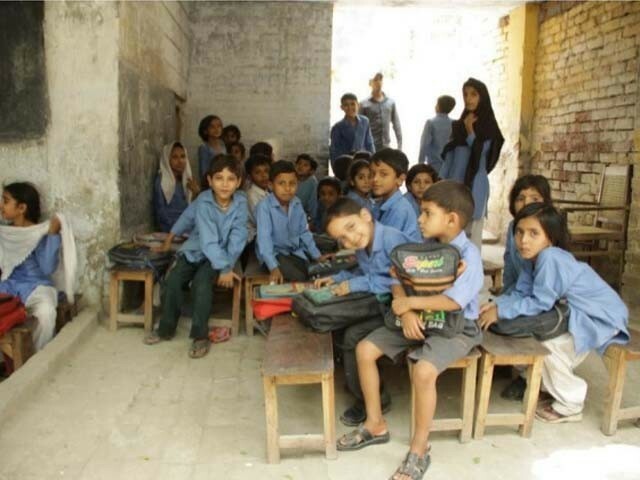 In Sindh it is the reverse, education is in shambles…..huge sums are alloted to education, this sector is reputed the be one of the most corrupt and the will to do something about this is nonexistent.